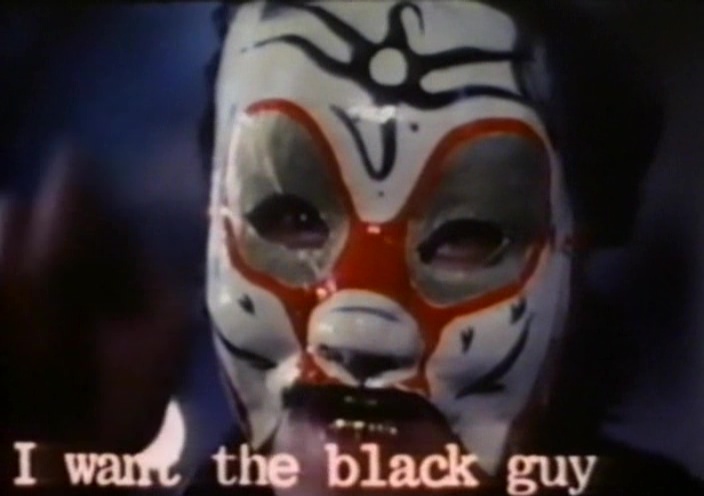 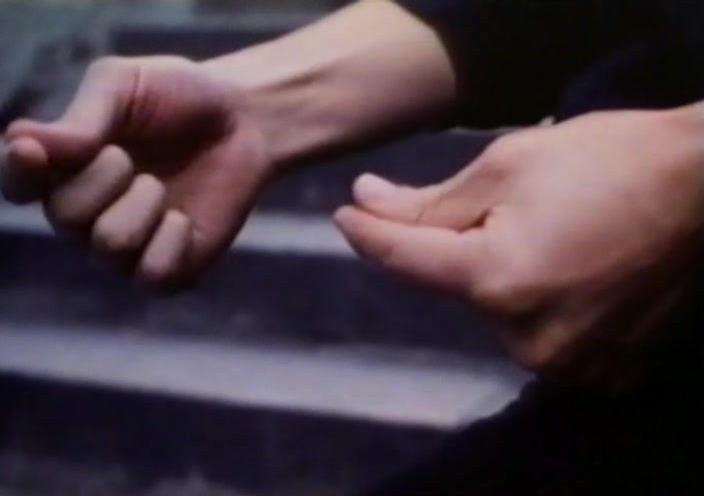 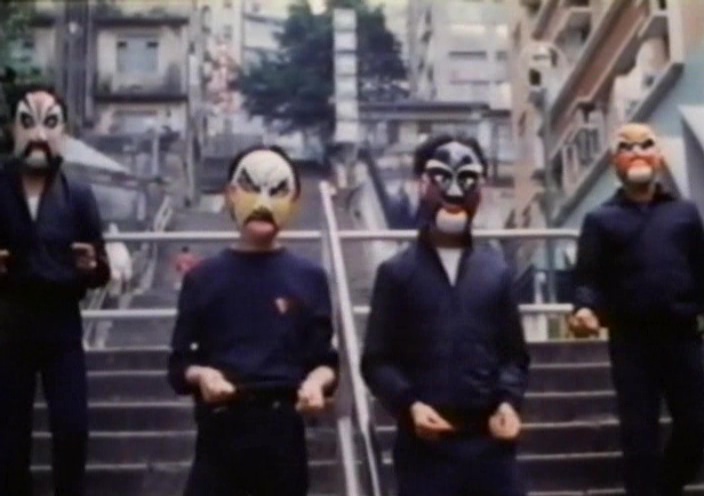 Then the weirdness starts, our two heroes are on shoreleave from the Navy in Hong Kong when they confronted out of nowhere by a finger clicking mask wearing violent gang! 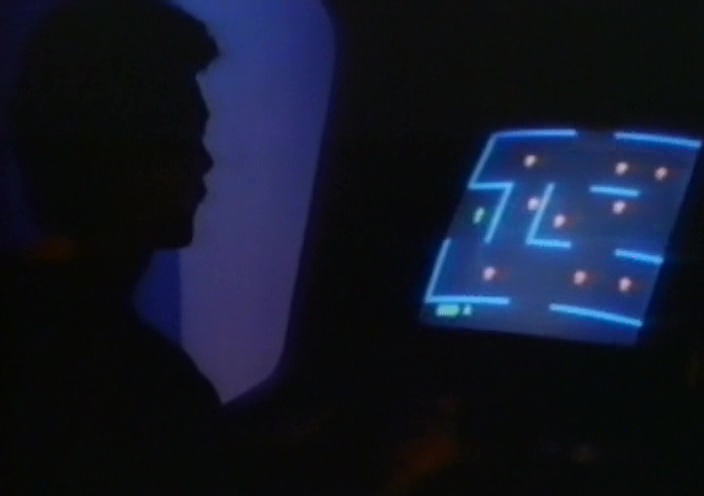 Next up they’re saved by the third man character, a local private investigator by the name of Hoartio Lim, one of the many things interesting about Horatio is that his office is packed with high tech futuristic hardware, including his very own Berzerk arcade cabinet! 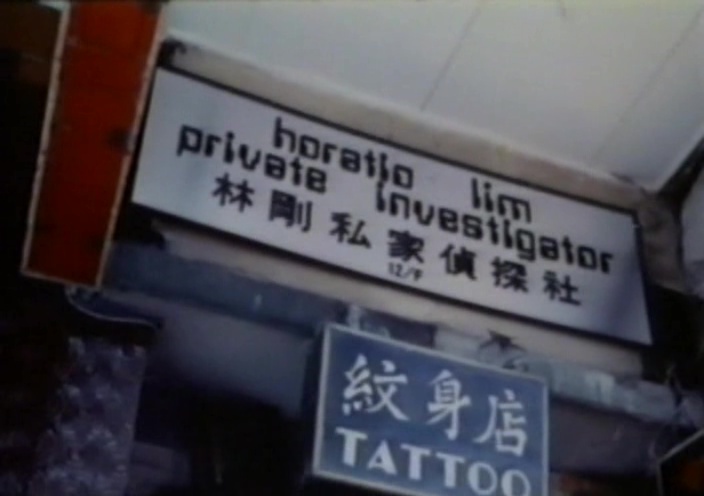 Even the sign outside his office uses a futuristic font. 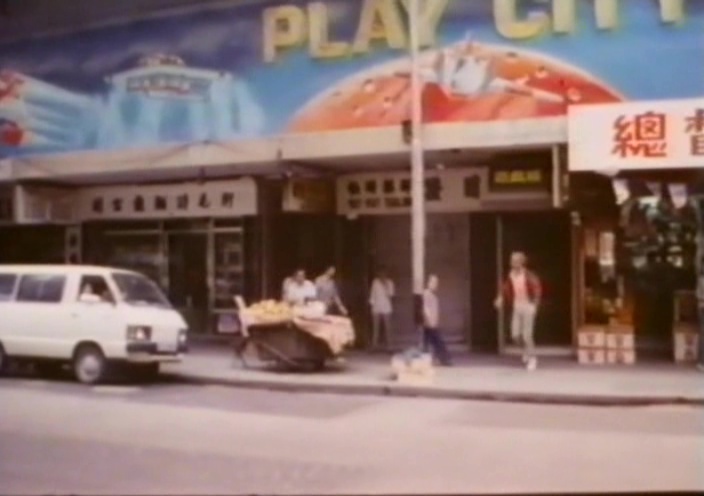 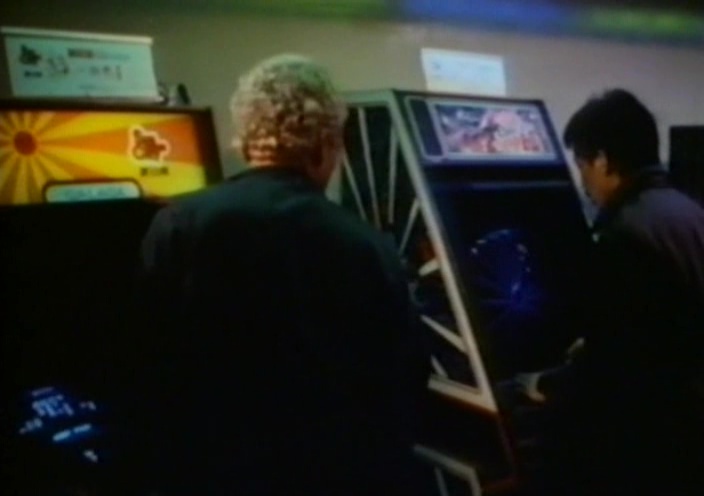 Later on the video game theme continues as they head to the Play City arcade to play Tempest. 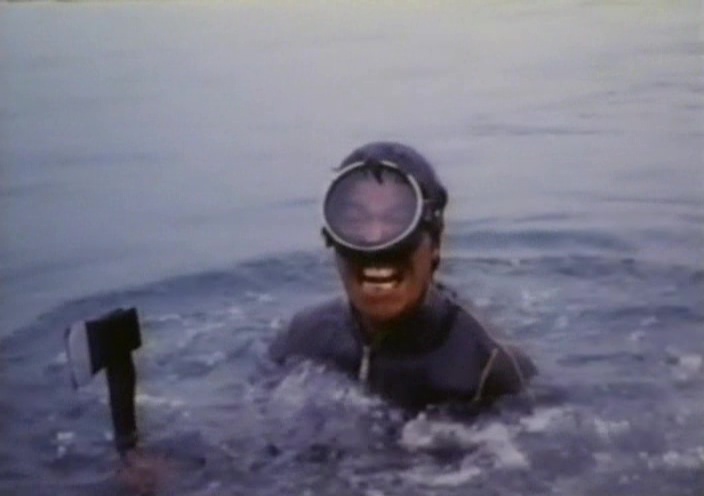 Axes also play a big part in the film, even a frogman assassin carries an axe underwater. 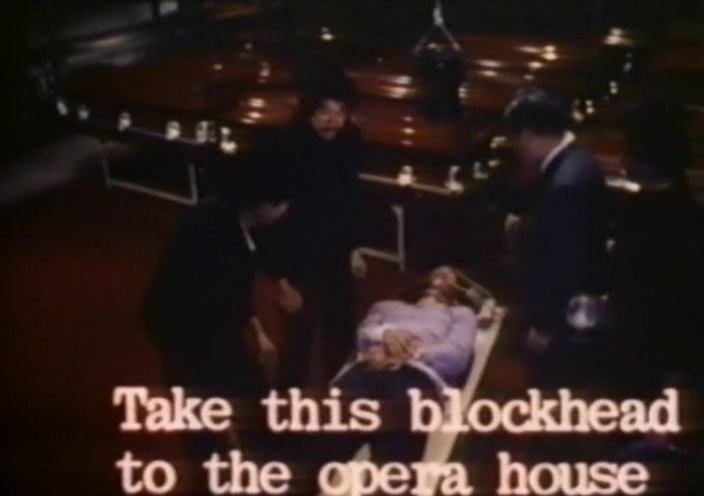 While mostly being in English language there’s a few scenes here and there that feature subtitles, but not just any subtitles, these have to be the biggest subtitles I’ve ever seen. 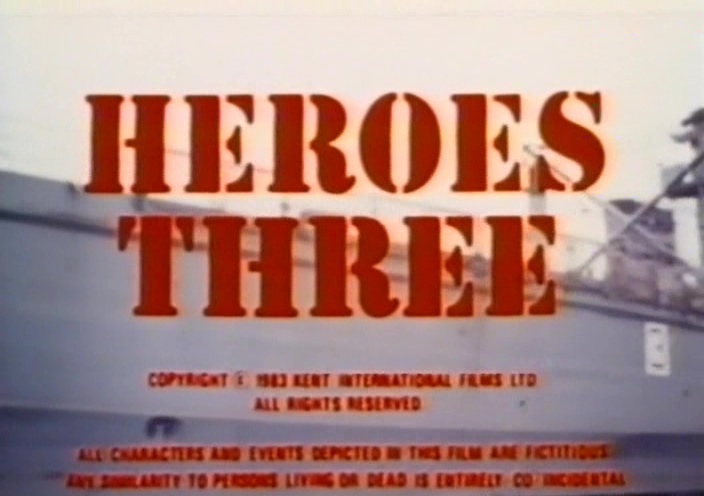 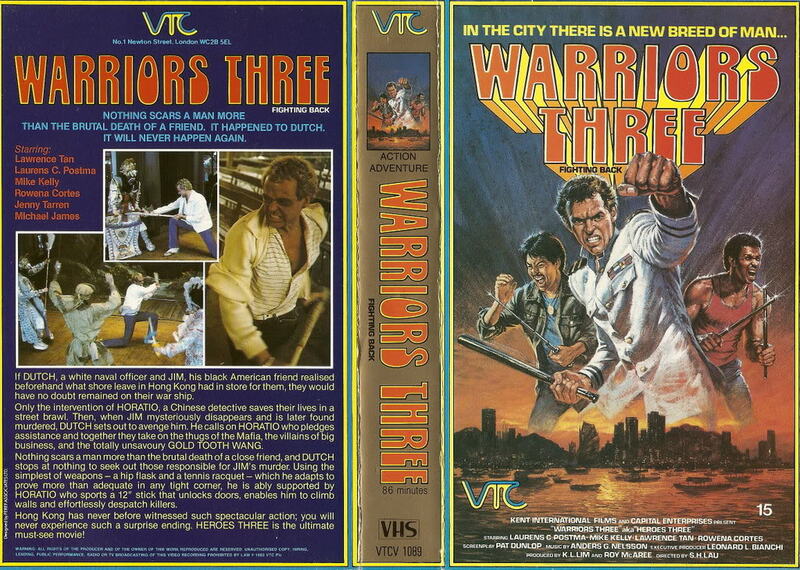 So that’s a brief guide to the weirder parts of Heroes Three, it’s a fun watch it you can track it down, but it’s all the strange asides that make it really interesting.